This year, the CFOspace from the accounting firm Ernst & Young GmbH will be honored with the Sinus – Systems Integration Award 2018 in the category of ‘Business’. The project – realized with the most modern of media technology – facilitates the cooperation between CFOs and their teams. The CFOspace was realized by the planning consultants Hartmann, Matthias and Partner. The CFOspace in the Eschborn allows a depiction of showcases with a wide range of media con-tents. 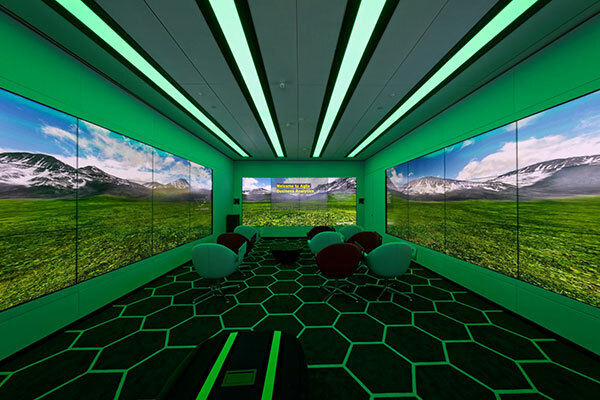 With the help of real-time graphic system Ventuz, the contents of PC systems, mobile devices or content servers are brought together and transported onto four display walls. The system brings the advantages of an optimal visualization and analysis of complex data structures. A quick and effective communication is achieved through effective data engineering and uncomplicated depic-tion of digital contents. At the same time, the media can be interactively manipulated in real-time. 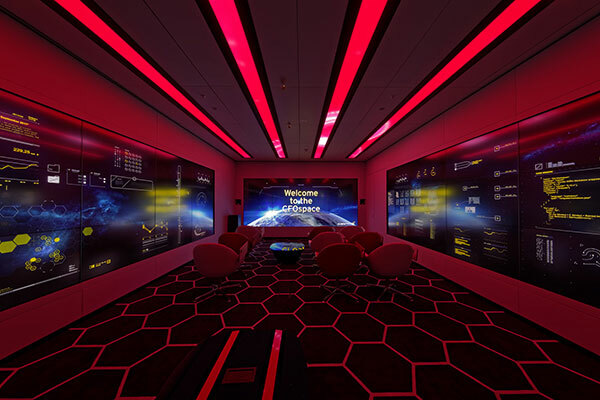 One central element is an interactive multi-display wall system with LED matrix ceiling light and surround sound, which can be integrate in an existing space of ca. 65 m2. The beam-formed ceiling microphones ensure an excellent sound quality. The interaction of the displays, light ceiling, and the sound system aims to create an immersive presentation impression with the participants of the show-case. The planning of CFOspace already began before 13 months. The multimedia presentation space was recently unveiled in January 2017. The Sinus Award is considered one of the highest honors in the area of AV media technology and the system integration. Projects that demonstrate innovative and trailblazing use of media technolo-gy and system integration are distinguished. The jury is made up of representatives of the Verband für Medien- und Veranstaltungstechnik (VPLT), the Europäischen Verband der Veranstaltungs-Centren e.V. 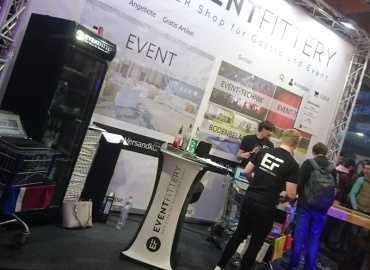 (EVVC) as well as representatives of specialist press and the Messe Frankfurt. 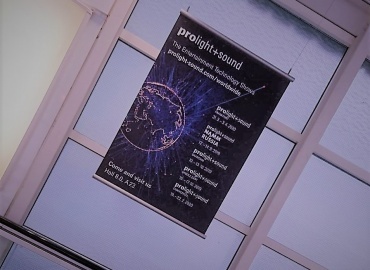 In the context of the trade fair Prolight + Sound, the Sinus has been awarded in alternating catego-ries since 2004. The categories are divided into Information, Entertainment, Business and Venue. "Opus - Deutschen Bühnenpreis" as well as the Pipa and Mipa Awards.